Ice has been selected literally thousands of times, created by Ice Art, to be incorporated into product launches of consumer goods, mobile telephones, luxury & fashion products, computer software and hundreds of leading brands, however large or small. Our experienced team have overcome every challenge conceivable to deliver the desired effect. Installations are often repeated over several days of a show – achieving outstanding interest and a point of difference for our clients. Ice Art’s creative team has more experience in this field than any South African or African ice company mainly because we are the only one and have been running for the past 12 years, working with top stand and production designers. We will work to your objectives and with your team – from concept to creation – ensuring the most effective results in ice. Ice is unique, behaving differently to every form of ‘mock’ ice. Ice Art has worked with some of the world’s top photographers and special effects specialists to the advertising and film industries to create one off effects and methods in using ice in commercials, print campaigns, major films and photo shoots. Our involvement is BMW secret places campaign is an example of our stunning work. 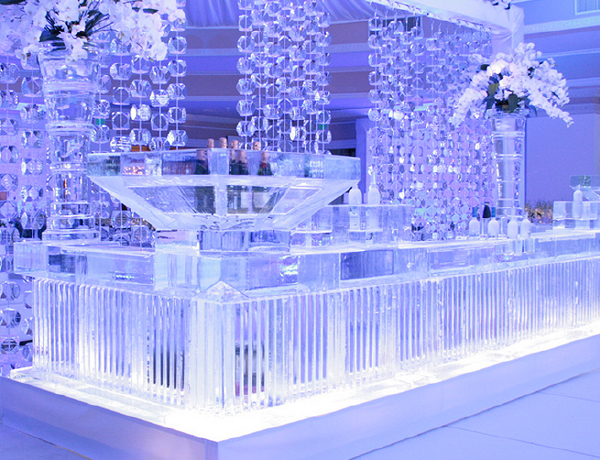 We are ‘the’ ice experts and provide the best solutions in using ice for your shoots and campaigns. The Ice Art team understands the time challenges, live filming constraints and conditions, by working as part of your team, our experienced experts will make it work. 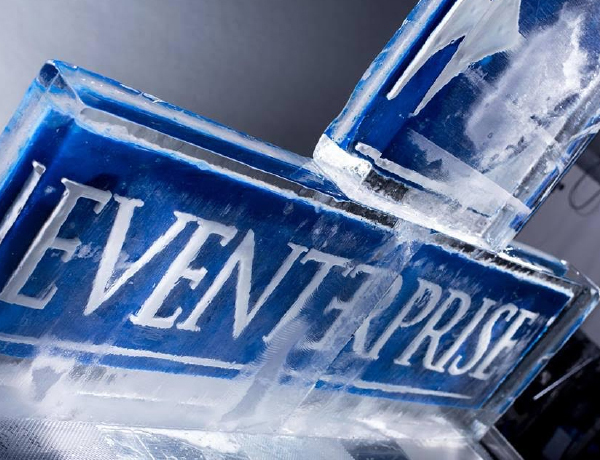 Integrating ice into a marketing campaign at a major event, in field marketing promotions, consumer or trade activities, or internal communications – ice will deliver. 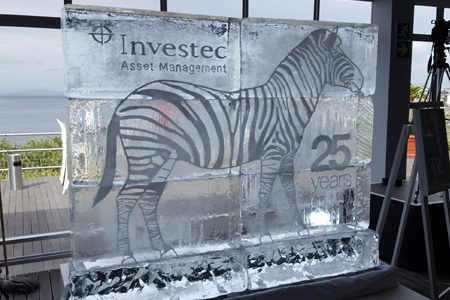 Ice Arts team are the most experienced specialists in the brand marketing field, having created spectacular designs in ice, at international shows, live events, music festivals, and sporting events throughout South Africa and Africa. Ice Arts creative team understands the need for excellent, measured execution of a campaign, integrating ice as a powerful mechanism to a one-off event, roadshow or campaign. Return on investment is crucial, and we will work with our clients to get the best results. We take care of all production and logistics related to the ice and delivers exceptional standards, every time. Ice is an incredibly powerful communications tool. 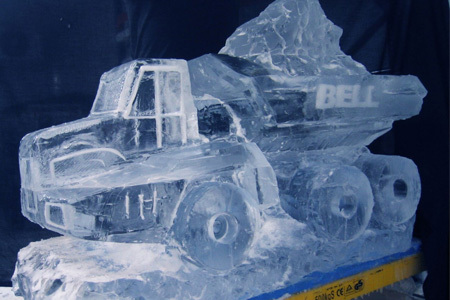 Whether building a large ice replica of a logo or product – or even incorporating real product inside the ice, the impact and means to engage the audience through ice carvings or large-scale installations is proven. Ice Art can take your brand objectives and messages and deliver them in creative ways, using none other than ice as the medium to achieve effective results and create valued results. During the process our team becomes part of yours, advising on the most effective solutions – your partners in successful delivery. Ice Art understands the best way to display your brand in ice. 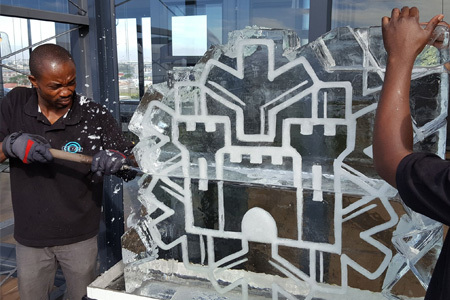 From being a talking point at a formal event or reception – through to branded walls of ice for film premieres to catwalks – Ice Art has created stunning ice logos, outside venues, inside museums, palaces and corporate headquarters. Subtle and effective – or loud and edgy, Ice Art will be sure to take your brief and produce highly effective and stunning results – ensuring both brand awareness as well as retention. 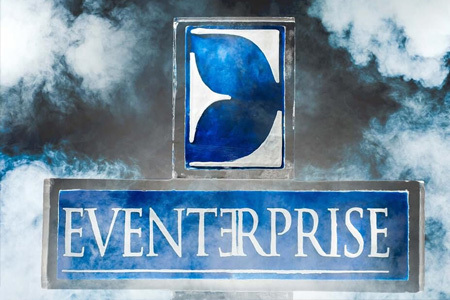 Literally hundreds of the world’s top companies have had their logos created in ice by our team, in the most creative styles and intricate ways. 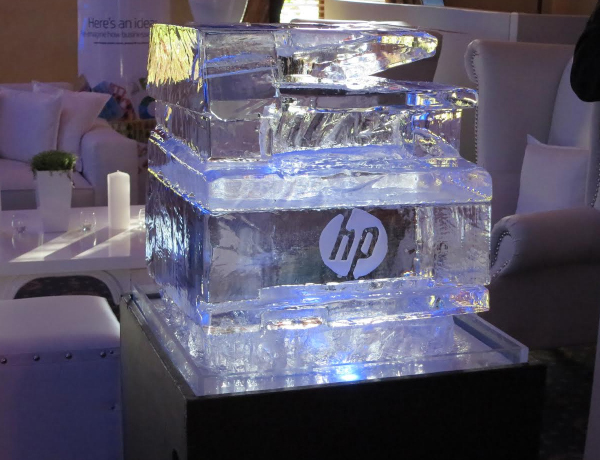 Ice Art has led the way in live ice carving displays in South Africa and Africa. Our team has created hundreds of exceptional results that have made an outstanding impact and a memorable brand experience and entertainment. 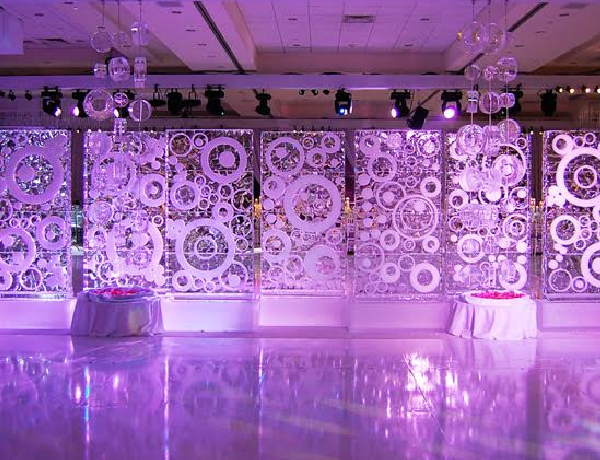 Creating an ice sculpture in front of an audience is a carefully planned, stage managed event. 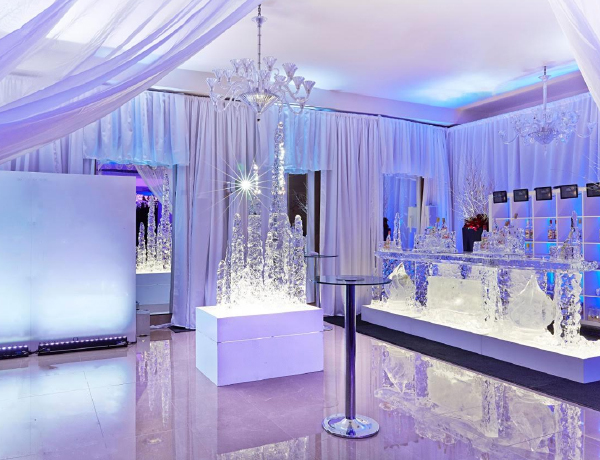 Ice Art is the only company that can deliver a live event, with minimal effect on the venue, taking care of logistics and production. Live ice carving is about the power of ice, drawing the audience in and ensuring they are entertained while the brand messages are retained in a subtle, original way. Lets Chat. You will find that with our wealth of experience we will be able to assist you with any need. First, we want to understand your need and from there we will dazzle you with our cool concepts. We finalize the design and quote you on the job. You approve the quote and we go into our online booking process, that’s right online we have digitised our booking process to simplify your effort. We confirm the booking and slot you into production. We arrive at your event based on your booking details and set up your sculpture for you. We come back the following day to remove the piece or whats left of it. We might not be able to draw but hell can we carve. We have an amazing ability to take a block of ice and carve it into any form you desire from small and old-school elegant swans to life-size and bold elephants. Our snow fill techniques focus on amplifying designs by combining various engraving techniques and tools with dustings of snow created from the engraving process. Snow filling is a great way to present logos and unique imagery in ice. What’s life without a lick of colour. Our colour filling techniques help us to amplify your brand logo in ice with your core corporate colours intact. Colour filling is also not limited to words and logos we are able to use colour in many formats and designs. A large part of the process is in the creation itself – watch the masters at work as we carve out spectacular creations, wowing the crowds and finishing up with awe-inspiring ice designs that will leave your audience speechless!